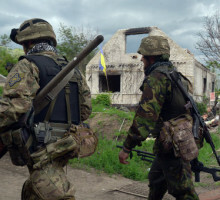 Five houses are damaged, one burned to the ground as a result of the night shelling of Donetsk, Dokuchaevsk and Novoazovsky region of DPR by Ukrainian army. 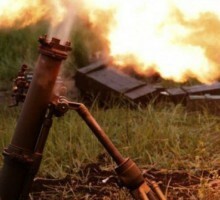 Yesterday two civilians were injured due to the shelling of Dokuchaevsk and Yasinovataya towns by the Ukrainian military, a source in the Defense Ministry of Donetsk People’s Republic (DPR) informed Donetsk News Agency today. 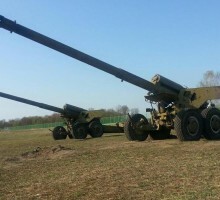 Last night, the Ukrainian military fired 220 mortar shells at Dokuchaevsk town, the western outskirts of Donetsk and also at Gorlovka and Yasinovataya outskirts, a source in the Donetsk People’s Republic Defense Ministry informed Donetsk News Agency today. 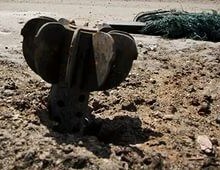 Six buildings were damaged as a result of mortar shelling of Kirovsky and Kuibyshevesky districts of Donetsk, Dokuchaevsk, Zaytsevo village north of Gorlovka, Deputy Commander of the Donetsk People’s Republic (DPR) Operations Command Eduard Basurin claimed today during his briefing in Donetsk News Agency. 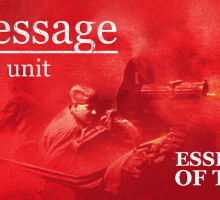 “Essence of Time” unit informed about the shelling of Donetsk, Gorlovka, and Dokuchaevsk outskirts by Ukrainian artillery on their official page in the social networks in the evening of June 2nd. 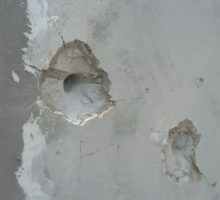 The destruction of the civilian infrastructure was reported.